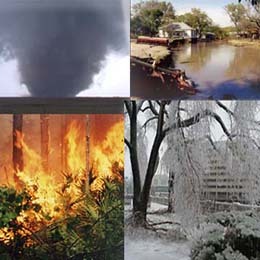 Wiring Solutions can assist with restoral of services after a natural or man-made disaster. Our highly skilled team of electricians and technicians can mobilize with minimal notice to provide such private sector services as meter-based restoral and last mile services that will assist main line crews into bringing more major sectors back online faster. Whether working through a local municipality off a local contracting license or a FEMA contracted operation, with our exceptional crews we can put boots on the ground faster than many. As a member of the IEC we can pull from a National pool of qualified individuals. State-Wide, Regionally, Globally, we maintain licenses in numerous localities for this very reason. In many cases we can bring to bear the manpower needed to restore services fast when local resources are burdened. We can work under the direction of local resources or autonomously, whatever the situation calls for, keep Wiring Solutions in mind for a rapid response when time is of the essence.